The Department of National Defense is the executive department of the Philippine government responsible for guarding against external and internal threats to peace and security in the country. The Department of National Defense exercises executive supervision over the Armed Forces of the Philippines (AFP), the Office of Civil Defense (OCD), the Philippine Veterans Affairs Office(PVAO), the National Defense College of the Philippines (NDCP), and the Government Arsenal (GA). It is also responsible for disaster preparation and management in the country. 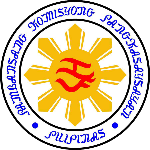 The Department of Tourism is the executive department of the Philippine government responsible for the regulation of the Philippine tourism industry and the promotion of the Philippines as a tourist destination. The AFP is a volunteer force. It is composed of the Philippine Army, Philippine Navy and Philippine Air Force. The Philippine Veterans Afairs Offices is the agency of the Philippine government under the Department of National Defense thru which a grateful nation pays its debt of gratitude to her defenders – the Filipino Veterans. The National Historical Commission of the Philippines (NHCP), by virtue of Republic Act 10086, is responsible for the conservation and preservation of the country’s historical legacies. Its major thrusts encompass an ambitious cultural program on historical studies, curatorial works, architectural conservation, Philippine heraldry, historical information dissemination activities, restoration and preservation of relics and memorabilia of heroes and other renowned Filipinos. The NHCP undertakes the commemoration of signiﬁcant events and personages in Philippine history and safeguard the blazoning of the national government and its political divisions and instrumentalities. Its five divisions are Finance and Administrative; Historic Preservation; Historic Sites and Education; Research, Publications and Heraldry; and Materials Research Conservation. The Western Command, known officially as the WestCom, is one of the Armed Forces of the Philippines' Wide Support Commands Combating Terrorism and Insurgency in the islands of Palawan and Kalayaan, including the disputed Spratly Islands group. This facility was established during the American occupation. It was however, during the Spanish regime that Puerto Princesa was designated as a place where offenders sentenced to banishment were exiled. A specific area of Puerto Princesa was selected as the site for a correctional facility. The American military carved out a prison facility in the rain forest of Puerto Princesa. The institution had for its first Superintendent Lt. George Wolfe, a member of the U.S. expeditionary force, who later became the first prisons director.